Saudi Arabia pulled its deal with Virgin Hyperloop One after the company’s chairperson Richard Branson criticised the kingdom over the disappearance of journalist Jamal Khashoggi, the Financial Times reports. Earlier this week, Branson said he was temporarily freezing his partnership with Saudi Arabia, which includes a planned investment in Branson’s space exploration ventures, until more details are known about Khashoggi, who was reportedly killed after entering the Saudi consulate in Turkey earlier this month. The Saudis were reportedly considering investing $1 billion in Branson’s business. As a result, Virgin Hyperloop One CEO Rob Lloyd and CTO Josh Giegel said they would not attend the Future Investment Initiative, a conference colloquially known as Davos in the Desert, hosted Crown Prince Mohammed bin Salman and the kingdom’s sovereign wealth fund from October 23 to 25. Other major tech and financial executives have also pulled out of the conference. The plan was for Virgin Hyperloop One and Saudi Arabia to sign a deal for an in-depth feasibility study at a ceremony during FII. The deal would have focused on where and how to build the futuristic transportation system in the country. The cancellation of the deal is seen as the first retaliation by the kingdom in the wake of Western executives snubbing the conference. 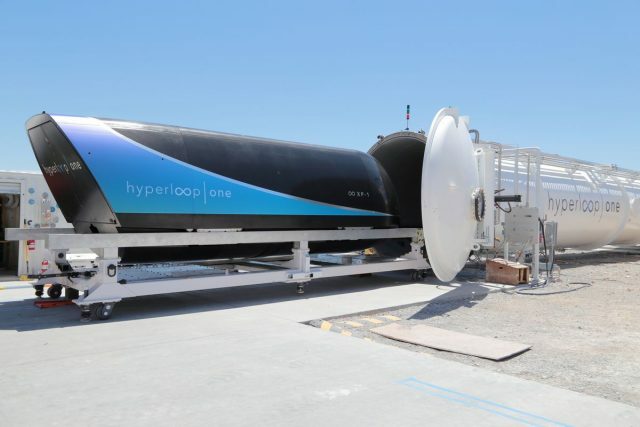 Virgin Hyperloop One has tested its technology at a demonstration site in Nevada, but has yet to bid on any construction contracts or break ground on a full-scale hyperloop project. Saudi Arabia had positioned itself as the most eager nation to build the world’s first passenger-ready hyperloop. In April, Lloyd and other executives unveiled “the Vision 2030 Hyperloop Pod, further cementing the commitment between the Kingdom and VHO to bring hyperloop technology to Saudi Arabia,” according to a press release. On Tuesday, a spokesperson for Virgin Hyperloop One said that the Financial Times story was factually incorrect and claimed it would be changed. But on Wednesday, the story was still up, with only minor updates. Virgin Hyperloop One said it had received “no confirmation from the government that our progress in the region has been put on hold,” and held up the possibility that a deal could still be reached in the future.